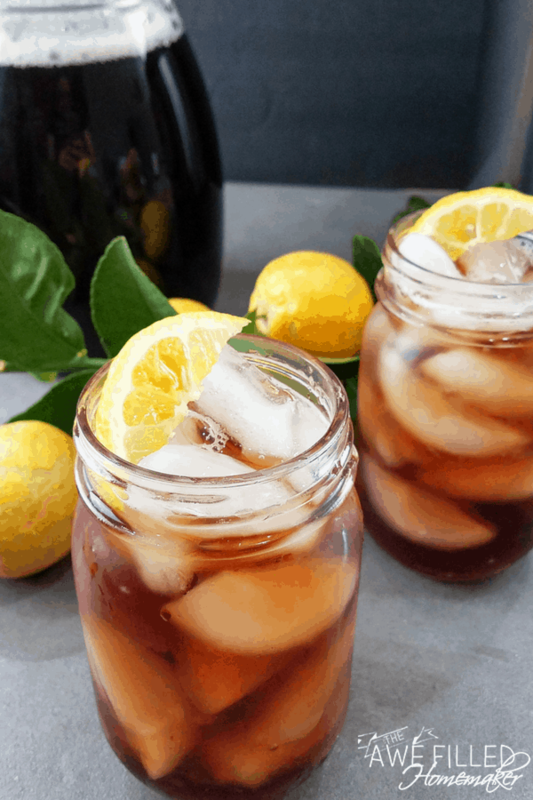 Any sweet tea lovers out there? I have a recipe today that will rock your world! 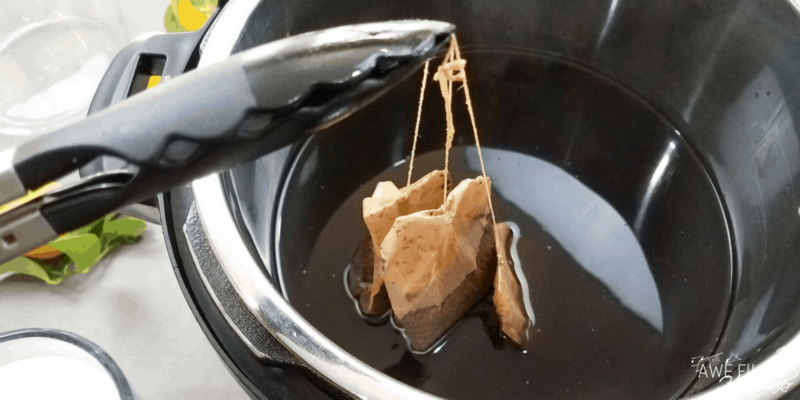 Instant Pot Sweet Tea….yes, you read that right! 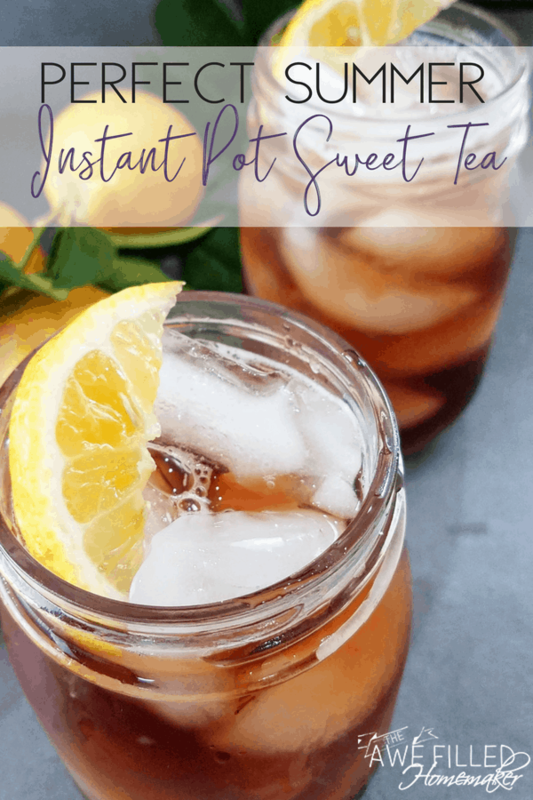 I have created the perfect sweet tea recipe and the Instant Pot gets the job done. 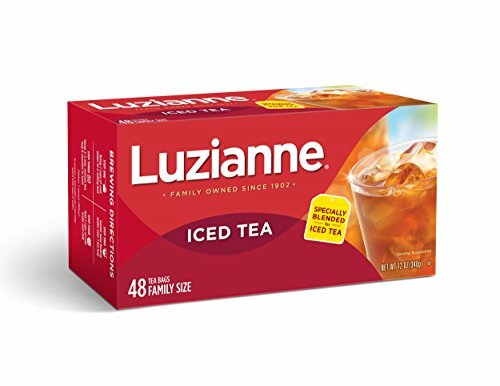 Tea blended perfectly with sugar for a light and slightly sweet tea that your taste buds are dreaming of. If you have ever made sweet tea on the stove top, you may have experienced a few set backs along the way. 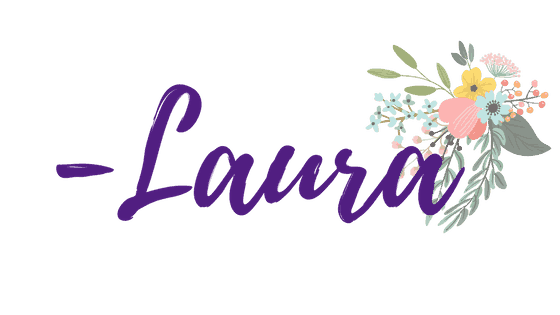 I have made tea for years, and on a rare occasion when I don’t pay enough attention to the heat or cook time and I end up with a bitter-tasting not so sweet tea. It is unpleasant and something that is poured down the drain rather than drank. 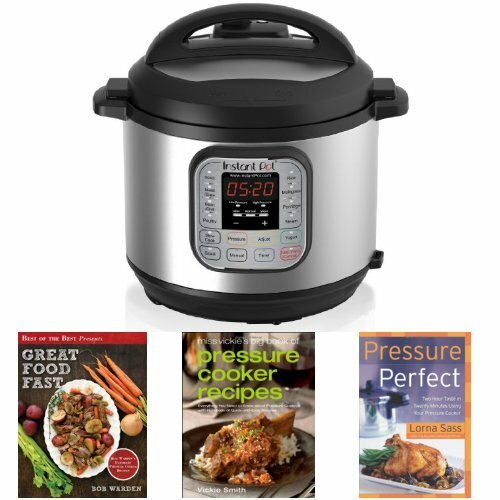 However, the Instant Pot cooks at the perfect temperature and time and allows you to have a simplistic sweet tea each time. I add a pinch of baking soda, which is great for helping keep that bitter-tasting flavor at bay. 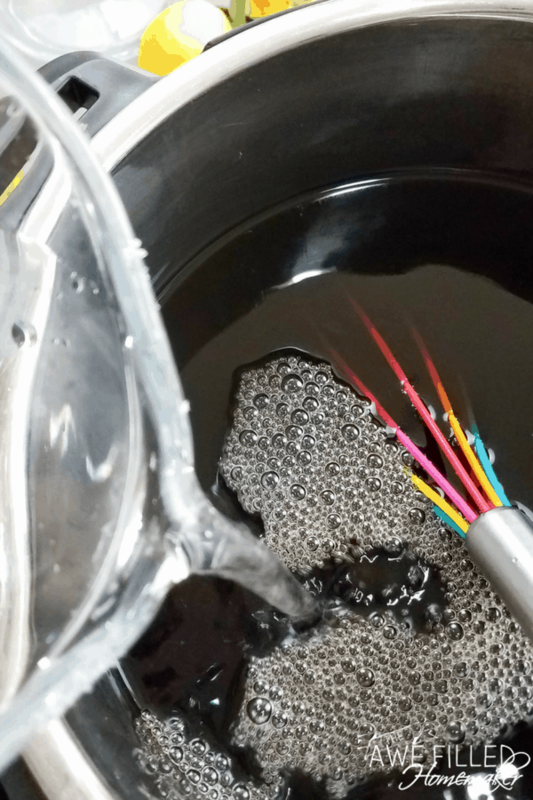 If you have reservations about adding in baking soda, no problem. I happened to find great success with a little dash of it in my tea. 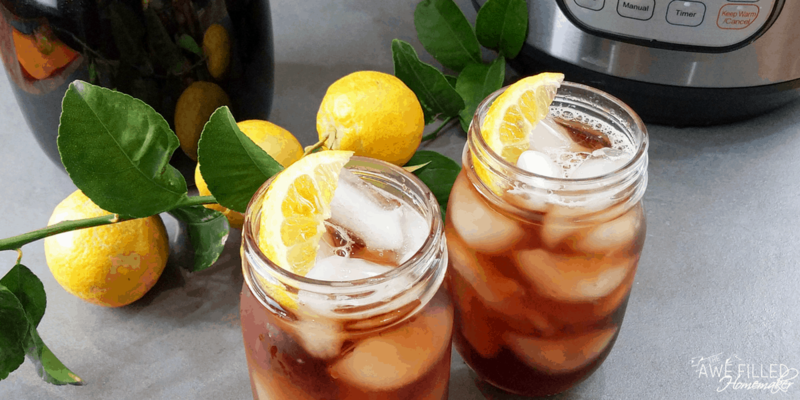 This Instant Pot Sweet Tea is incredibly easy to make. 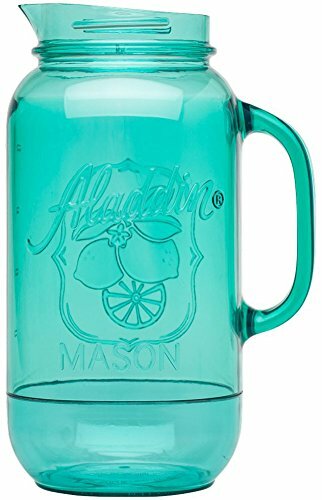 You will get a perfectly smooth, hands-free, easy to prepare sweet tea and will probably never look back at the old way of making sweet tea. 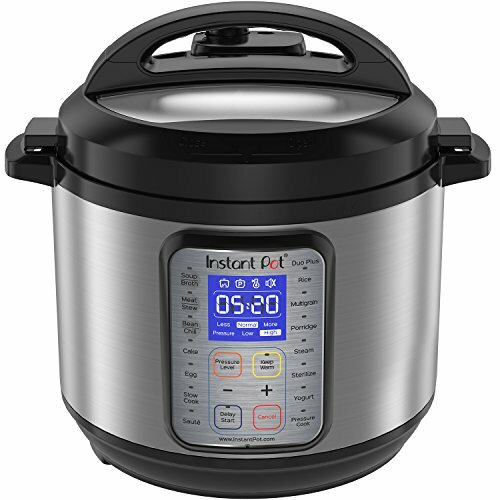 Your Instant Pot is more than capable, so let it do the job while you sit back and wait. 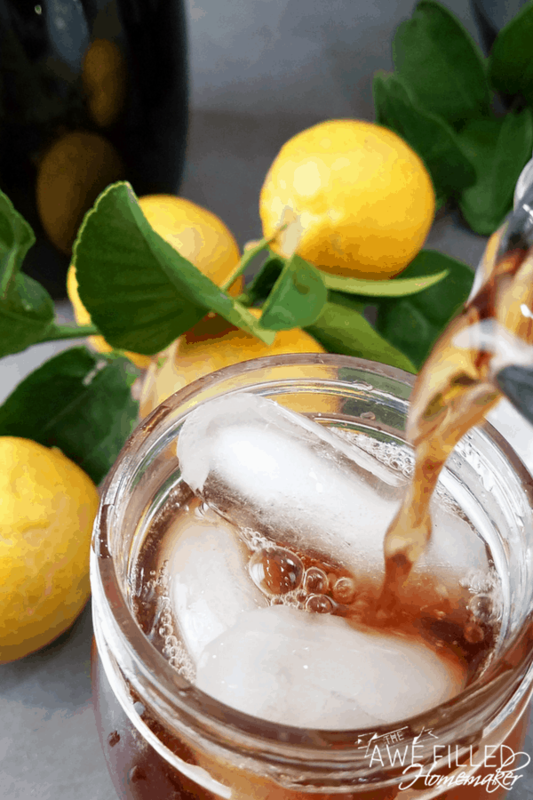 Depending on what part of the country you live in, you might have a different idea on sweet tea. Some like it extra sweet and some like it slightly sweet. 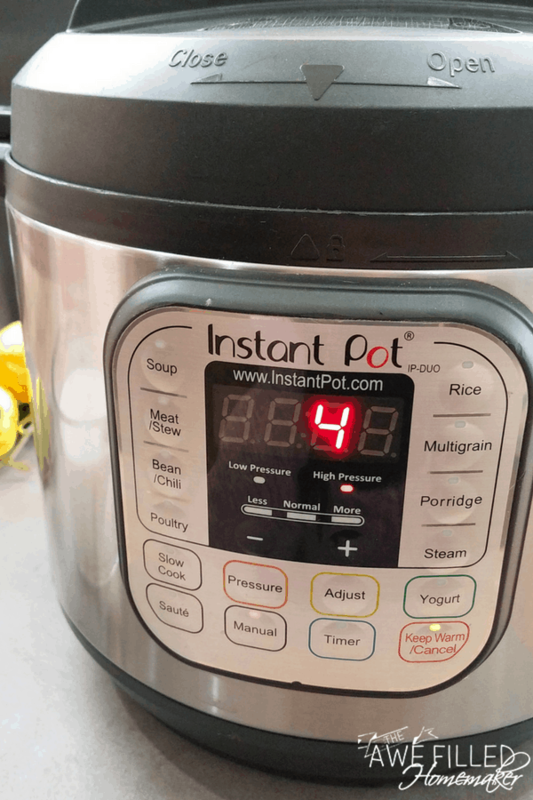 The beauty of the Instant Pot is it allows you the ability to adapt the tea to fit your preference. Want it extra sweet? Add more sugar. Want it less sweet? Hold back some of the sugar. I prefer my tea sweet enough to know it’s sweet. This recipe is spot on with flavor! I personally think this sweet tea would make the perfect match up for many of the dishes in my meal plans. I also shared a couple amazing brunch recipes that this would pair well with! My Coffee Cake and Frittata Muffins would make great pair up. Also, if you’re doing a potluck or summer party, this would make a great drink to fix with potato salad and egg salad! 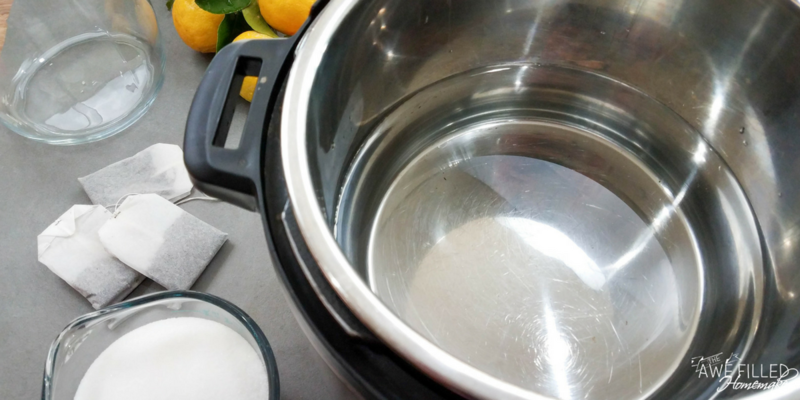 1) Add 8 cups water, tea bags, and baking soda to the Instant Pot insert. Close the lid and turn the pressure valve to sealing. 2) Steep the tea on high pressure using the manual setting for 4 minutes. Release the pressure using the quick release method. 3) Take off the lid and remove the tea bags. Stir in the sugar, mix until completely dissolved. Add the additional 4 cups cold water. 4) Transfer to a gallon sized pitcher. Store in the refrigerator and serve over ice. Tea blended perfectly with sugar for a light and slightly sweet tea that your taste buds are dreaming of. 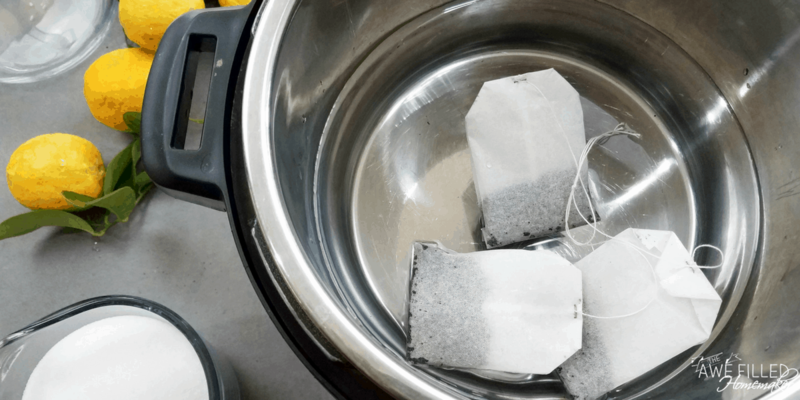 Add 8 cups water, tea bags, and baking soda to the Instant Pot insert. Close the lid and turn the pressure valve to sealing. Steep the tea on high pressure using the manual setting for 4 minutes. Release the pressure using the quick release method. Take off the lid and remove the tea bags. Stir in the sugar, mix until completely dissolved. Add the additional 4 cups cold water. 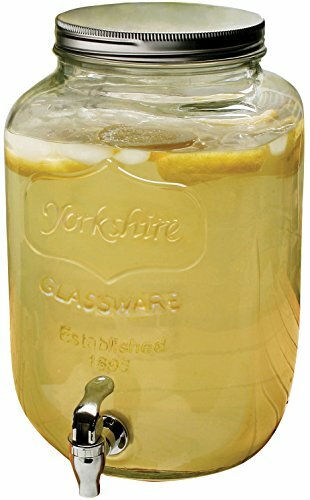 Transfer to a gallon sized pitcher. 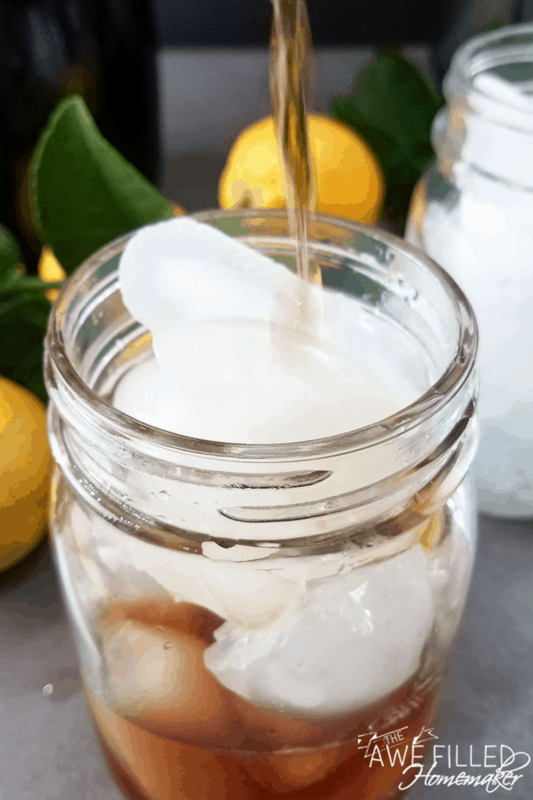 Store in the refrigerator and serve over ice. Regular sized tea bags? For 72 oz of water? 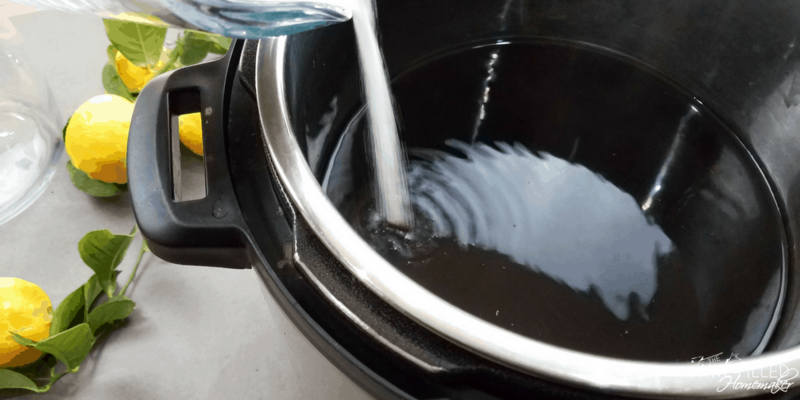 Is it a weaker tasting tea or does the pressure cooker extract more flavor than boiling it? Hi Debbie, I am so sorry. 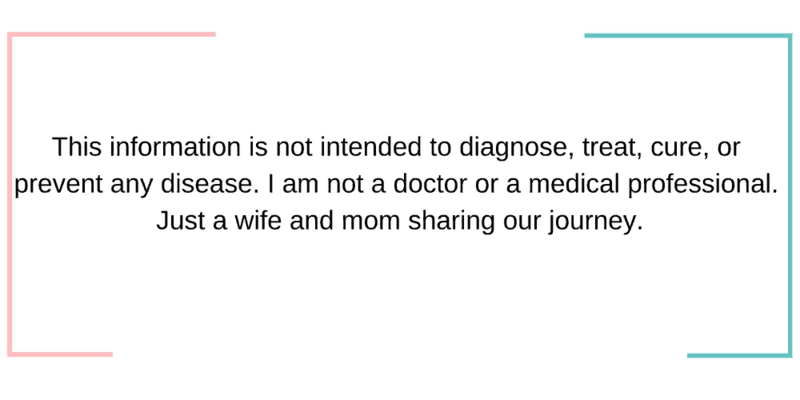 I just edited the recipe to clarify more. I used the large family sized tea bags. If you would be using the regular size I would double it for sure. 2 TO 3 TEABAGS DOESN’T SEEM ENOUGH. What is family sized teabags? I have teabags here that can make 2 cups of tea…are those the family sizes one?